Imagine never worrying if you turned out the lights, locked the door, or left the gas on. Imagine a home that adjusts lighting and temperature so that you are always comfortable, whether working out or reading a book. Imagine a home that remembers your likes and dislikes … a home that can identify you and reacts defensively if it senses an intruder. “The future of a smart home is actually something that is not just four walls and a roof, but actually something that is aware of you … knows your preferences and settings, and actually knows everything about you and wants to be an ally to you,” said Sce Pike (pictured), founder and chief executive officer of IOTAS Inc.
Pike spoke with Lisa Martin (@LisaMartinTV), host of theCUBE, SiliconANGLE Media’s mobile livestreaming studio at the CloudNOW “Top Women in Cloud” Innovation Awards event in Menlo Park, California, where Pike was honored with a CloudNOW “Top Women in Cloud” innovation award. They discussed the IOTAS smart home platform and Pike’s journey from coding websites to CEO of IOTAS. Smart housing a la IOTAS , which stands for “internet of things as a service,” is more than adding edge devices to your home. When she was approached by a real estate developer looking for differentiation for a proposed high-end apartment project, Pike saw an opportunity to revolutionize the multi-billion-dollar housing market. With IOTAS, she and her team created a platform that combines intelligent hardware with machine learning software, digitizing the personal and common spaces of entire apartment communities. “Everything is an experience versus just on, off,” Pike said. Residents of an IOTA smart apartment download a mobile app that allows them to choose from a series of pre-programmed or user-defined options that activate a series of pre-programmed routine tasks. Known as “stories,” these could be anything from a “morning story” that activates with your alarm to switch on lights, television and coffee-maker; a “movie night story” that dims lights, switches on the entertainment system, and cues up Netflix; or an “away for the day” story that activates security measures and puts the apartment into energy-saving mode. Graduating from UCLA with a joint major in anthropology and electronic arts, Pike moved to Silicon Valley just in time to ride the boom of the late 1990s. Although she did not have a background in science, technology, engineering and math, her ability to both code and design made her the perfect candidate to create websites for the new e-commerce marketplace. “I’ve always been curious about human nature, why people do things, and that actually led my career into this interesting path of user experience design,” Pike said. As a liberal arts major turned tech CEO, Pike is an advocate of adding arts to the essential areas of study, transforming STEM to STEAM (science, technology, engineering, art and math) “There’s so many different avenues to think about; how technology needs a different point of view from an art background or an anthropology background, and I think that’s where there’s an opportunity to bring in women or girls in a different way that still goes into [a technology field],” she said. This is empowering, but it has its downside. Pike had the epiphany: “My life is dependent on white men … I’ve got to change something!” after realizing the lack of diversity within the IOTAS leadership. She recently added a female cybersecurity expert to the board of directors and is looking to recruit female chief financial and chief operating officers. “I’m trying to change up my executive staff, change up my investors, change up my board,” she said. 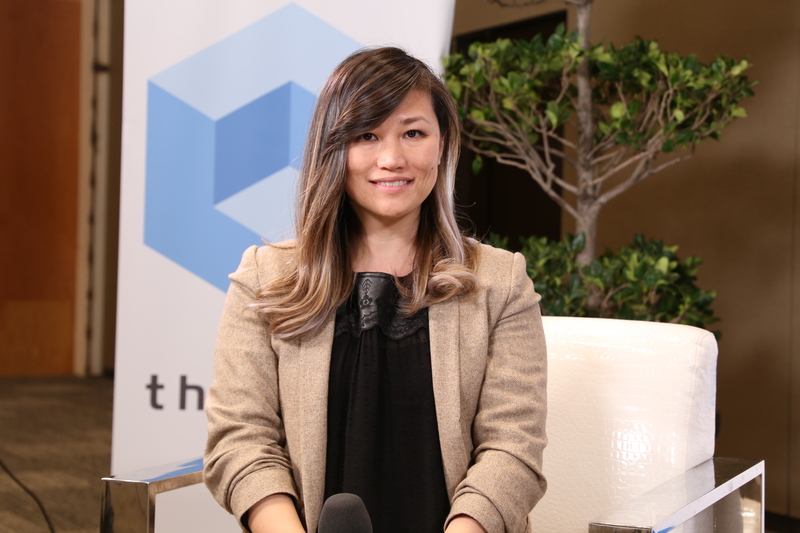 Watch the complete video interview below, and be sure to check out more of SiliconANGLE’s and theCUBE’s coverage of the CloudNOW “Top Women in Cloud” Innovation Awards event. Wendy Mars of Cisco reveals some of the regional characteristics in Europe concerning moving into the cloud and multicloud. skip_previous Play full video for cliphelp_outlineThe clip you are watching is a highlight of a full-length video. Click to watch the full video from the beginning. 00:50Dave Cope, Sr Director of Market Development at Cisco Cloud Platform & Solutions Group, gives perspective on the whole of the cloud. 01:33Fabio Gori, Senior Director of Cloud Solution Marketing at Cisco on multicloud agility in network management. 00:42Ron Sterbenz of Cisco speaks on the rise of Kubernetes and what Cisco is doing in this space. 01:23Lew Tucker states that Kubernetes will be a Key Component to Ensure easier System Integration and Consumption. 00:57The Rise of Kubernetes reminds us of the Java Days as we're going after Portability of Apps. Lew Tucker of Cisco Explains. 00:59Lew Tucker, VP and CTO, Cloud Computing at Cisco discusses the Impact and Issues of AI. 01:15Dave Cope and Kip Compton of @Cisco discuss Customer Challenges with John Furrier and Lauren Cooney. 01:28Kip Compton on how #Security is very much "stitched" into everything @Cisco does. 01:25Dave Cope, Sr. Dir. of CloudCenter Market Development for @Cisco shares #Hybrid Solution Use Cases on #theCUBE. 01:19Kip Compton, SVP Cloud Platform and Solutions Group discusses Cisco's latest AWS partnership with @Furrier on #theCube. 01:02The ideal System #Architecture - Kip Compton @Cisco sees a shift towards Accelerating #Innovation instead of Minimizing Cost.